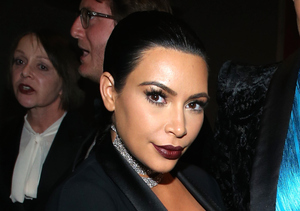 Kim Kardashian most likely will never get pregnant again, according to TMZ. Doctors have apparently warned Kardashian against having a third baby since it could put the lives of her and her baby at risk. Kim suffered placenta accreta — a condition in which all or part of the placenta attaches in an abnormal way to the wall of the uterus — while she was pregnant with North and Saint. There is a good chance she would suffer it again if she became pregnant for a third time. Another reason that Kardashian is reportedly fine with not having another baby is her painful birth with Saint. Despite having some trouble delivering Saint, he is not creating havoc for Kim after the birth. He is apparently “eating great, sleeping a ton, and barely crying,” a close source shared.